An interesting symbiotic relationship (defined as a close and often long-term interaction between two or more species) highlighted in a recent Science article demonstrates the delicate balance between species in aquatic ecosystems and how chemicals can be used to harm and benefit both corals and fish. Here I discuss this article and highlight some of their results. Mutualism is a type of symbiotic relationship where both parties gain some benefit to their “fitness” or an increased chance they will survive and reproduce. Some common examples of mutualism include plants that provide food and shelter to ants in return for protection from predators and competitors or hummingbirds drinking nectar while in turn transferring pollen from one plant to another. These relations are vital for ecosystem function and are thought to have driven much of the biological diversity we see today. Mutualism is also seen in our oceans, most notably in coral reefs. 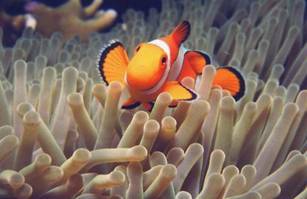 For those of us that have seen Finding Nemo the first to come to mind is the clown fish and sea anemone. 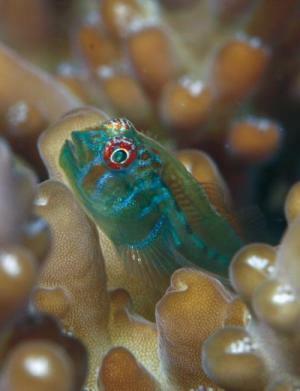 Another important mutualistic relationship is the one between coral and herbivorous fish. 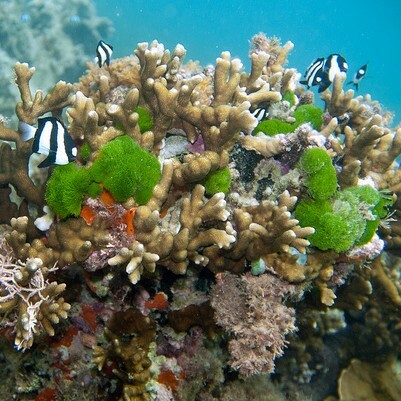 Coral provides shelter and food to herbivorous fish in return for protection from natural enemies, such as seaweeds. You may think seaweed sounds like a strange enemy, but corals are under continuous assault by seaweeds that seek to usurp prime sunlight locations where coral exist. Many seaweeds also have chemical weapons that can damage and kill coral, allowing seaweed to take over an area more easily. 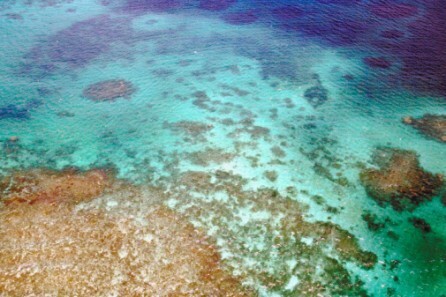 In fact seaweeds have been replacing corals reefs across the globe. 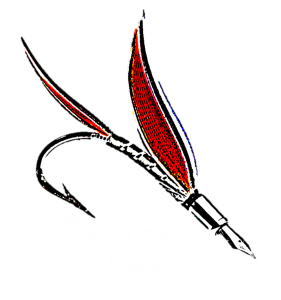 While there are a number of reasons for these losses (pollution and ocean acidification and warming), removal of herbivorous fish through overfishing (either through directly removing these species or through trophic cascades) is one that is commonly overlooked. When these herbivorous fish are removed, they can no longer get rid of toxic or disease carrying seaweeds that can damage and kill coral. Researcher Dixson and Hay recently found that this mutualistic relationship is even more interesting than we originally thought. Dixson and Hay discovered that coral can send out an emergency “help” signal when threatened by toxic seaweed. They demonstrated that when a toxic seaweed or just the toxic chemical from the seaweed made contact with coral, the coral released a chemical odor that caused gobies to immediately come to the rescue and trim the nearby seaweed. One of the goby species even consumed the toxic seaweed and had the added benefit of becoming more toxic itself and thus less desirable to its own predators. This study is the first known example of a species chemically signaling another to remove its competitors. 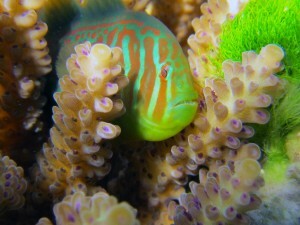 Recruiting these fishy bodyguards with a chemical “help” signal likely saves many coral reefs from damage and loss caused by these toxic algae; a necessity considering losing important coral structures can affect fishes, fisheries, biodiversity, coastal protection from wave damage, and ecosystem function in general. Danielle L. Dixson and Mark E. Hay, Corals chemically signal mutualistic fishes to remove competing seaweeds, Science (2012). Fishing in dubai was great experience of my life i must visit again for fishing. Hi colleagues, pleasant paragraph and plesasant urging commented at his place, Iamm genuinely enjoying by these.